Warm underground caves found in Antarctica? It was reported in the media a bit over a week ago that researchers found a “secret, warm oasis beneath Antarctica’s ice” and that there could be undiscovered animal species there. Apparently these warm caves are 20-25 degrees Celsius, and you can wear a T-shirt there, despite being surrounded by snow and ice. The heat, and possibly light, supposedly originate from an active volcano. Assuming that this is all true, it is likely to fuel speculation about Hollow Earth, or perhaps an underground sun that heats the place up. Or maybe the Nazis found these caves back in the 30s or 40s when they founded their alleged Neuschwabenland base there with flying saucers and all. It is quite extraordinary if this discovery is true. Warm, habitable caves in the coldest place on earth (since Antarctica is supposedly too cold for planes to fly over), and you just have to wonder how far the caves stretch. Yet I won’t buy this news at face value. It might very well be a distraction or deception of some sort. Let’s say that flat earth researchers are onto something with their claims of a round ice wall surrounding the round disc of the earth. Maybe this discovery is supposed to draw attention away from the possible fact that the very shape of Antarctica is different than we’ve been told. Maybe they want us to be imagining what is underneath Antarctica instead of what is beyond it, such as the Firmament. Maybe the powers that be want us to believe at some point that scientists discover a frozen alien civilization under the ice, and when they are defrosted, they turn against us, and we need another, benign alien race to save us. It’s just one example of a possible silly psy-op they might be pulling on us. There have been some important visitors to Antarctica as of late. US Secretary of State, John Kerry, visited it last year. So did the russian patriarch Kirill a week after meeting with pope Francis. There are also rumours that Obama visited the alleged continent last year during his trip to Argentina. Could there have been some sort of discovery in Antarctica yet to be announced to the public? Did they manage to make a dent in the Firmament? Is it all a psy-op of some sort? Why this focus on Antarctica as of late? Is the discovery of the “oasis caves” related to these political visits? I don’t have any of the answers, except that I don’t buy the story of underground caves heated by an active volcano. Maybe the caves exist, maybe they’re warm, but the claim that they are heated by a volcano sounds dubious. Then again maybe the whole story is fiction. The caves are supposedly located “around and beneath” mount Erebus. Interesting name. Erebus is a primordial deity from Greek mythology associated with darkness and born of chaos. The description reminds me of the Egyptian chaotic frog god, Kek, who is revered by many in the far-right nowadays. I cannot say what the ultimate significance of Mt Erebus here is, except this cave business along with Erebus sounds like a manufactured narrative to me, instead of a spontaneous discovery. I thought I should add this “confession” I found on a discussion forum a while ago, about supposed discoveries in the antarctic and how Masons are involved. It’s probably fiction, but at least it’s interesting fiction. I recently started reading Tracy Twyman’s book Clock Shavings, which is pretty amazing. In it she recounts her Ouija board sessions with Cain and Baphomet. Crazy stuff, but I find her credible. According to the usual understanding the Knights Templar revered Baphomet, as Twyman also says, but she suggests that most the secret societies following them, such as Freemasons and the Priory of Sion, have been started by Baphomet in some manner. She links Baphomet with the Gnostic goddess of wisdom Sophia. I wonder what John Lash would say about it? 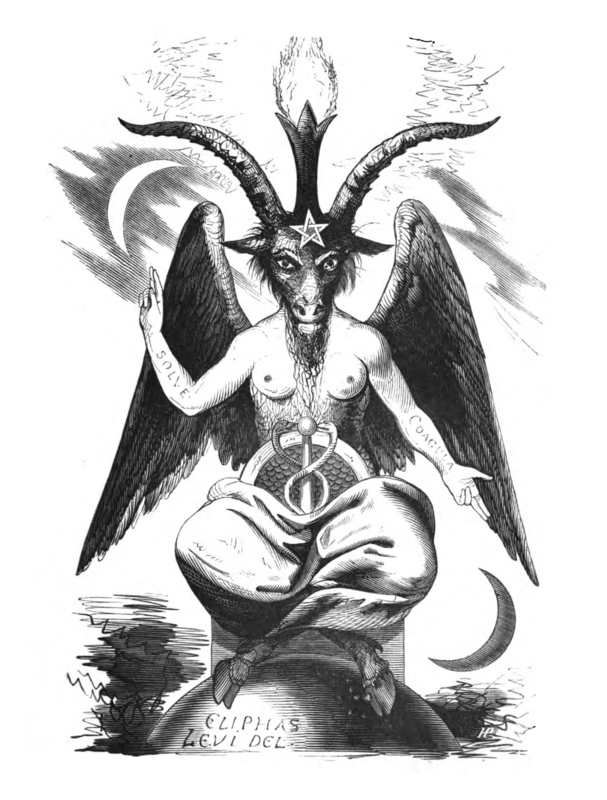 Commonly Baphomet is equated with the devil and other evil things, but the truth isn’t that black and white, it seems. Also Freemasons apparently revere Baphomet as well, and while I cannot say for sure to what extent the conspiracy theories that blame the Freemasons for all sort of stuff are true, I’d be very surprised if there was no truth to the accusations. So I would say that there are a lot of nasty people who do somehow employ Baphomet’s powers for their own gain, yet Baphomet him/herself would be neutral in a moralistic perspective. After all if Mithras was Baphomet, and Mithras was a mediator between Ahura Mazda and Ahriman, Baphomet would definitely fit in a moral gray area. The word “aegis” comes from the same root probably. It’s a word used in many fantasy roleplaying games, and it has haunted me since childhood. Usually an aegis is a shield or other protective device. Athena and Zeus in Greek myths carry one, and no-one is quite sure what it is, but usually its regarded as an animal skin or shield. Possibly a shield made from animal skin, or goat skin. Wikipedia even mentions the possibility the aegis was some sort of shamanic pouch. Baphomet, of course, is depicted as a goat. And now finally we are getting to the point I’m trying to make. This Baphometic influence seems to be so prevalent in our society, most people don’t think anything of it. Baphomet is somehow behind the fiat currency system of making something out of nothing. Was Baphomet the creature from Jekyll Island, where the Federal Reserve was birthed? Baphomet being the god of contracts is somehow also behind the need for the “Illuminati” to always tell people in advance what they are going to do, predictive programming and all that. I think subconsciously the masses even know it, but it’s part of the contract between the elites and the masses that the masses get to keep their ignorance and live in their Disney Worlds’ while the dark occultists do their thing. However, now that contract is breaking down for some reason. Then there’s Zbigniew Brzezinski’s book The Grand Chessboard. I think in the recent Red Ice interview Alexander Dugin said that Brzezinski commented that he had never considered that chess is a game for two. Maybe Brzezinski wasn’t thinking about chess, but Ageio. Assuming there is any truth to this, I don’t think Baphomet is somehow controlling and enslaving humanity, but rather humanity is using Baphomet to enslave itself. To escape some ancient trauma, perhaps. Cain, according to Twyman, was not just some peasant who killed his brother, but a god-king in the pre-diluvian world. There was a cataclysmic war that lead to the biblical flood. In the war the Dohir kings, who were sons of Cain, fought against him. For some reason when I think of the Dohir kings, I cannot help but imagine the kings from the Lord of the Rings who were corrupted by the Rings of Power and became Ringwraiths, the Nazgûl. 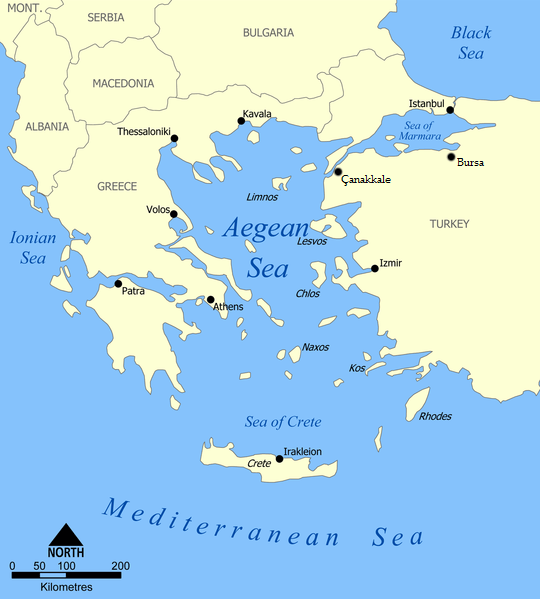 Another thing, according to Cain, is that Aegean Sea (east of Greece) is where the Land of Nod used to be, but now it’s under water. In the world of Song of Ice and Fire, better known by the TV series Game of Thrones, there is a place called Valyria. It’s similar to myths of Atlantis with great magic and all that, but it was destroyed in a great catastrophe. To me the location on the map has always looked like Greece. I thought it natural since the legend of Atlantis comes to us from Greece, so the author George R. R. Martin made Valyria look like Greece. But maybe there’s more to it than that. This is a screenshot of Valyria (after the cataclysm) from the game Crusader Kings 2, A Game of Thrones-mod. Compared side to side with the map of Greece and Aegean sea Valyria does not look alike, but on a subconcious level I do find them similar. Three days ago a ring of smoke appeared high in the sky in Kazakhstan. Yesterday a ring of fire was detected out there is space. I don’t know if there is a connection, so I’m going to say, why not. Mail Online claims that the “[Fire] Ring is an illusion created by the chance alignment of two galaxies”. Sounds ominously Lovecraftian. They say: “A mysterious ‘ring of fire’ has been spotted in space thanks to Albert Einstein’s theory of relatively.” “Relatively.” Haahaa. I know everyone makes mistakes, but since it’s the mass media, I’m taking the liberty to act like Nelson from the Simpsons. Anyways I’m not confident they really know what the ring of fire is. I think they’re just trying to come up with some explanation. Here’s the ring. A Youtuber TheScariestMovieEver made a video of the smoke ring. He says it’s not the first that has appeared. Apparently there have been a few others spotted around the world, but only since 2013. Weird. TheScariestMovieEver suggests the smoke rings might be a symptom of the spiritual starting to manifest in our world. Portals to other dimensions or something like that. I don’t think that’s a bad explanation, but quite frankly I don’t know what the smoke ring, or the ring of fire is. I’m going to guess the ring of fire is the Ring of Power just forged by Sauron, and the smoke rings are residue from the process that somehow alter reality be their presence. I think we need François Hollande to use his palantír to find out what the origin of the rings is.